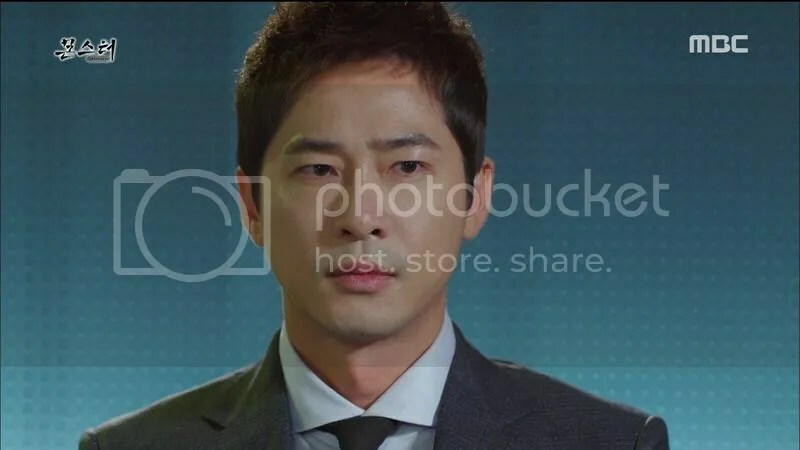 Gook-chul (Kang Ji-hwan) had grown up over the past few years after he barely escaped from Byun Il-jae, but his enemy continued to find him..in his dreams. He died every night in Il-jae’s hands and that made his conviction grew even stronger. 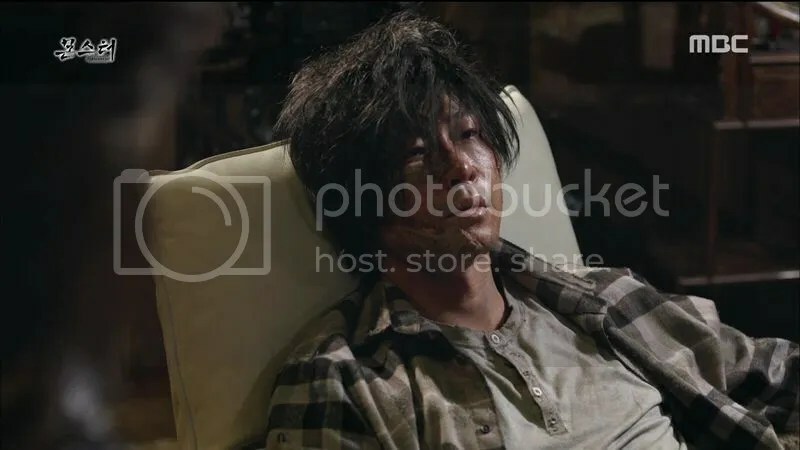 He continued to live, even as lowly beggar, and that was when he ran into Secretary Ok Chae-ryung at the subway station. However, she did not admit right away that she was indeed the secretary and waited for the order from her higher ups regarding Gook-chul as the only person with the vaccine in his body. Things were not going well for him even when he was already at the lowest point of his life: the gangsters demanded for some fee as he was begging in the area and they tried to take the money Gook-chul saved to fix his eyes. He barely escaped after hitting them in the dark but ended up being caught. He was lucky when a patrol car’s siren chased them away, and that was when Chae-ryung appeared before him. Thinking that she was only there to sympathize with his current state, he told her to go away, but she was there to buy his blood serum in order to produce the vaccine. It was indeed lucky for him, although he might have have a slight disadvantage with him being anemic, but getting a chance to start a new life on top of being paid was a great deal for him. Chae-ryung’s boss had prepared everything for Gook-chul to further his studies in the US and she promised to keep him up-to-date with Il-jae’s status. Gook-chul had another request, which was to find Jung-eun because he owed his life to her. On the other side of the globe (New Jersey to be exact), Il-jae was tracking down someone and he had just reached the destination when he heard shots being fired inside the house. When he entered the house, he saw a young man holding a gun and an older man lying on the floor. 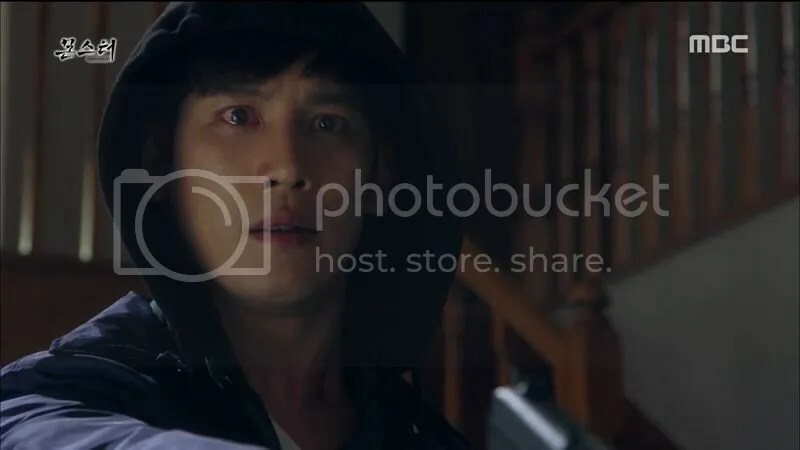 The young man was Do Gun-woo (Park Ki-woong), and he was under the influence of drugs when he killed his stepfather, who abused his mother. Il-jae managed to persuade the mother to take the blame for the crime, saving Gun-woo from serving jail time. That was because he had another agenda, which was to use Gun-woo against President Do. 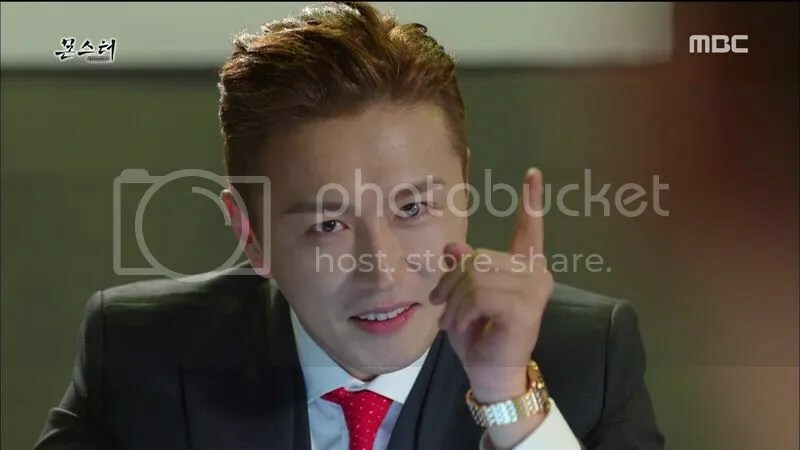 He even lied to President Do’s wife, Mrs Hwang Kwi-ja (Kim Bo-yeon), about Gun-woo, although it was her who sent him there to ‘manage’ yet another product of her husband’s affair. 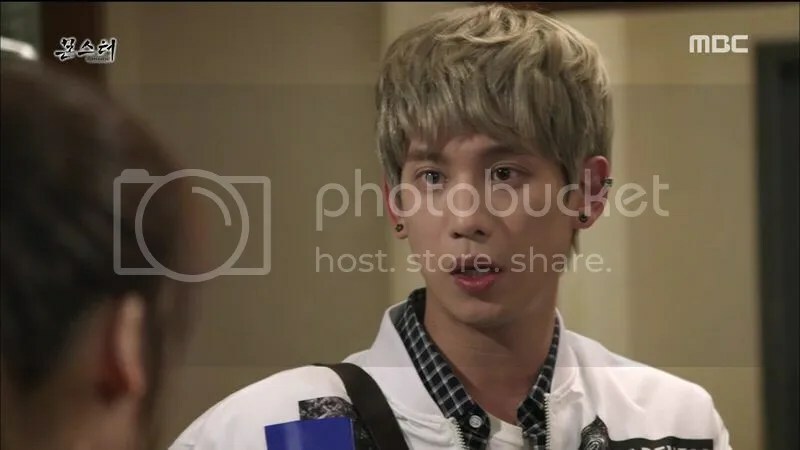 Gook-chul underwent his eye surgery and also changed his face in the US, completely letting go of his real identity in exchange for his new identity: Kang Gi-tan. Five years later, he had already completed his studies while being an active student, as seen through the certificates on display at his house. Just like what she promised him before, Chae-ryung gave an update on what happened to Byun Il-jae recently: his father-in-law, Hwang Jae-man (Lee Deok-hwa) had become the majority party’s leader while maintaining his Congressman status for the third term, while Il-jae himself was promoted to become the legal representative of Dodo Group’s Strategic Planning Department. 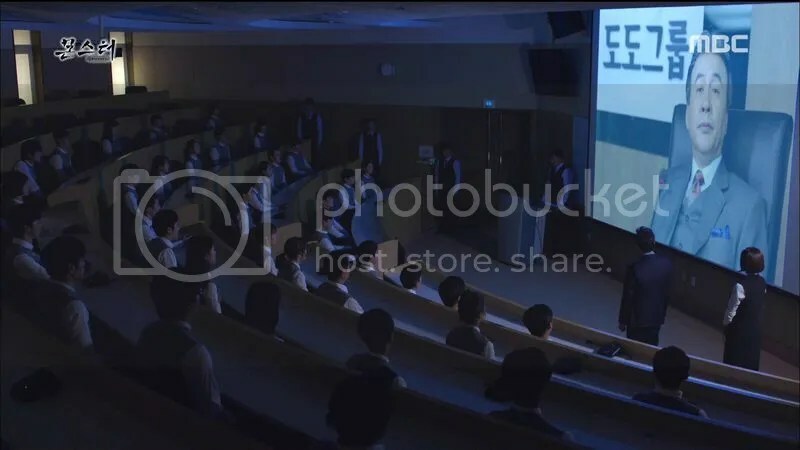 Looks like Gi-tan had been keeping his tab on Il-jae because he already applied for a job at that department and he was returning to Korea at that moment. Chae-ryung was hesitant to tell Gi-tan the truth about Jung-eun, because she found out that the girl was harassed for being the sole surviving victim of the virus, causing her to go from one place to another with her sick brother. 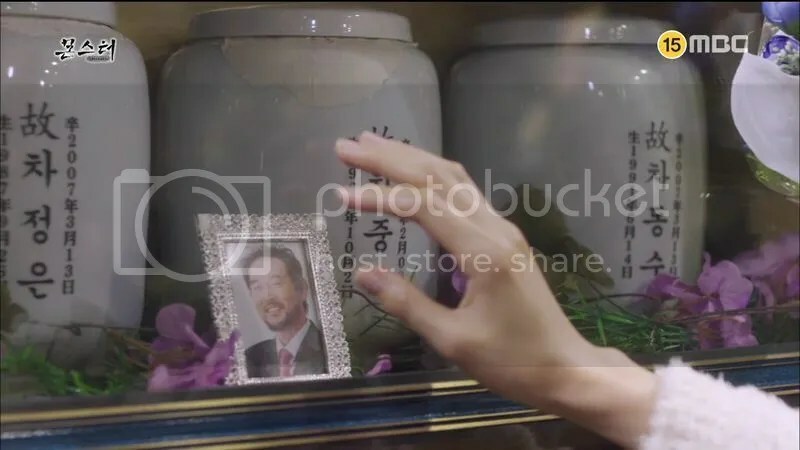 It ended tragically when both of them were killed in a fire, but we saw that Jung-eun was still alive. She visited her father (where her own urn and her brother’s were also there) to tell him that she would get into Dodo Group this time. We have not been told about her new name yet but she was going under a new name, Oh Soo-yeon (Sung Yu-ri). 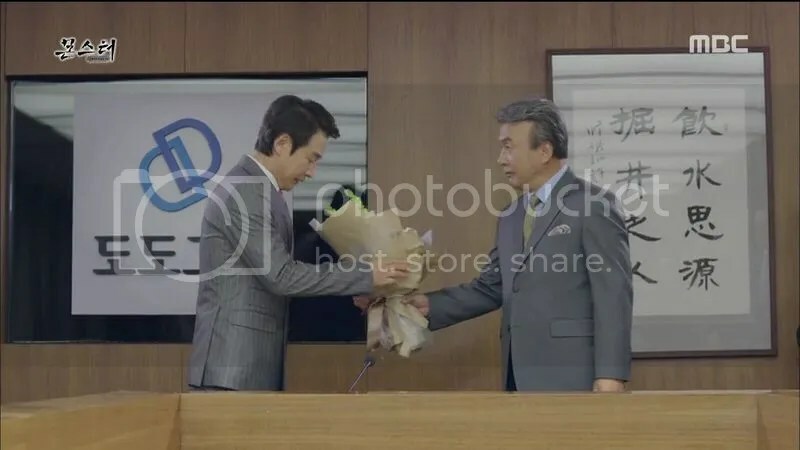 And the first thing Gun-woo did on the next day was to go to Dodo Group’s building and he got to see the father he never knew before, President Do. Il-jae did not expect to see him there, but Gun-woo thought that he did not have any reason to stay in the US now that his mother had passed away. When he was told to take the exam to enter the Strategic Planning Department of Dodo on the following day, Gun-woo initially refused but Il-jae set him straight, telling him to do what he was told to (like a good hunting dog?) and Il-jae would make President Do accept him as his son. 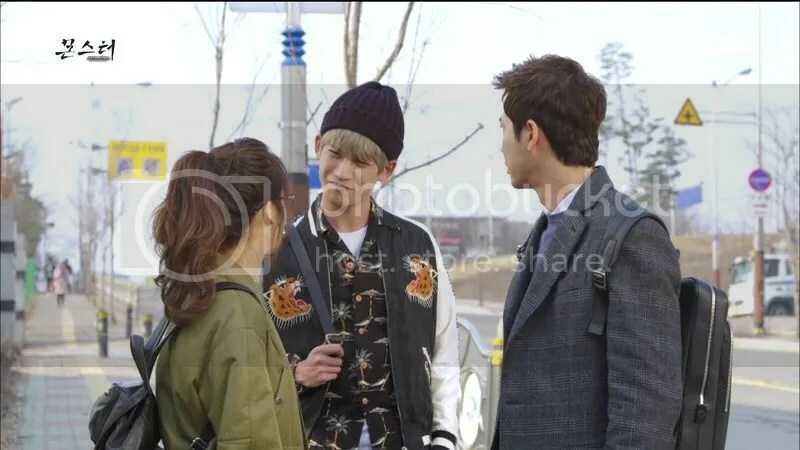 On the next day, the candidates attended the examination, including Gi-tan, although Chae-ryung did not think that it was a good way to get close to Il-jae. That was not the only reason, because Gi-tan wanted to find out more about Dodo’s involvement in his family’s downfall. She tried to tell him about Jung-eun but changed her mind abruptly, and Gi-tan accidentally ran into Soo-yeon once he got off the car. He recognized her voice, but learned that her name was not Jung-eun. Gun-woo was also interrupted them, whining to Soo-yeon that they should have taken a taxi together instead of coming separately. Heh, so stingy. Soo-yeon managed to make Gi-tan pay for her damaged notes, and Gi-tan could only sigh that he met a weird woman. They all sat for the exam together, and Gi-tan could not help to feel disturbed by the noises Soo-yeon under her breath while she took the exam. Seems like his super hearing was still intact even after regaining his sight. Gun-woo got a free ride for the written test since Il-jae had already gave him the answer packet and coincidentally, Gi-tan and him stood up at the same time to submit their finished papers. They were really destined to rival each other, I think, but another lady beat them to it, submitting hers before dashing out of the room. 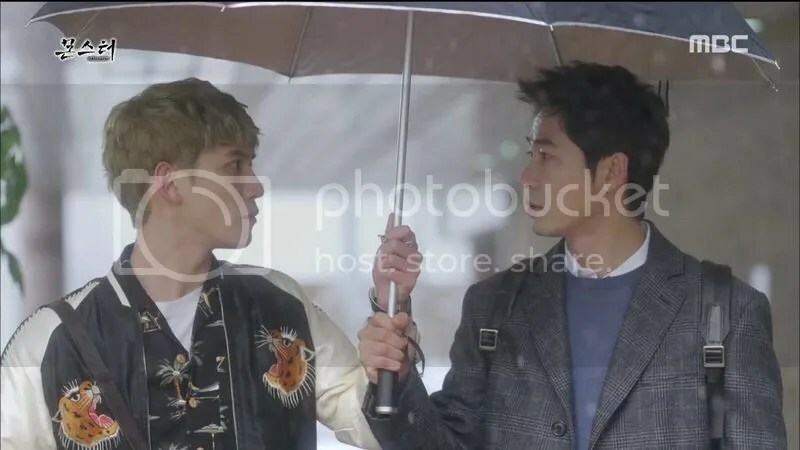 Gi-tan found the lady, Yoo Sung-ae (Soo Hyun) standing outside starting at the rain, and he offered to lend his umbrella to her. But then, Sung-ae just ran into the rain, leaving him behind. That was when Gun-woo appeared beside him, asking for the umbrella. Gi-tan refused to do so and walked away by himself, but Gun-woo decided to follow him and insisted that he should share. LOL, that was slowly turning into a petty and childish game when Gun-woo assured Gi-tan that he would pass with top marks, while Gi-tan promised not to let Gun-woo beat him. Ah, that pride is still alive and well in him. Congressman Hwang had a party celebrating the publication of his autobiography (entitled Money, Politics, and Conscience. Heh) and Chae-ryung made her appearance at the venue, giving a surprise to both Il-jae and Ji-soo. She turned out to be a acquaintance of Hwang himself and introduced herself to the couple as an art gallery owner. It seems that she was there to check out on her potential cash cow that was Il-jae, because she was promised 30% of the price which Sudo Medical Center was sold to Dodo by Il-jae. Ji-soo’s face dropped when she introduced herself as Man-ok’s secretary in the past, but feigned ignorance. It is good to know that Ji-soo never forget her crime. The pecking order was still intact after all this time, with President Do at the top of it, and Congressman Hwang got this far thanks to his potential as President Do’s errand boy. Hence, Do Chung was not happy to hear the rumour of Hwang aiming for the President’s spot, plus the possibility of Dodo being inflicted for the office investigation. Although he acted like a good pet in front of his owner, Hwang was just waiting for the right time to rise, and ordered for Il-jae to start buying Dodo’s stock with his hidden bond when the company’s stock went down. 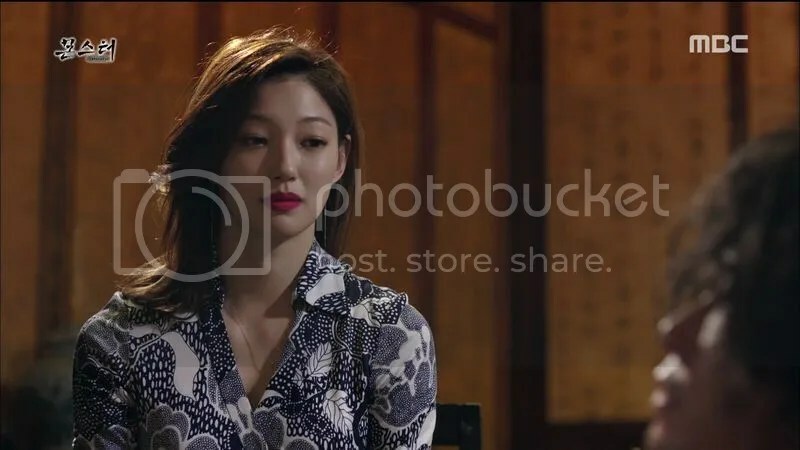 They entered the interview one by one, with Sung-ae giving answers without hesitation and Soo-yeon barely avoiding to answer the tricky question about her father and said that she met Il-jae at the court when he was still an attorney. 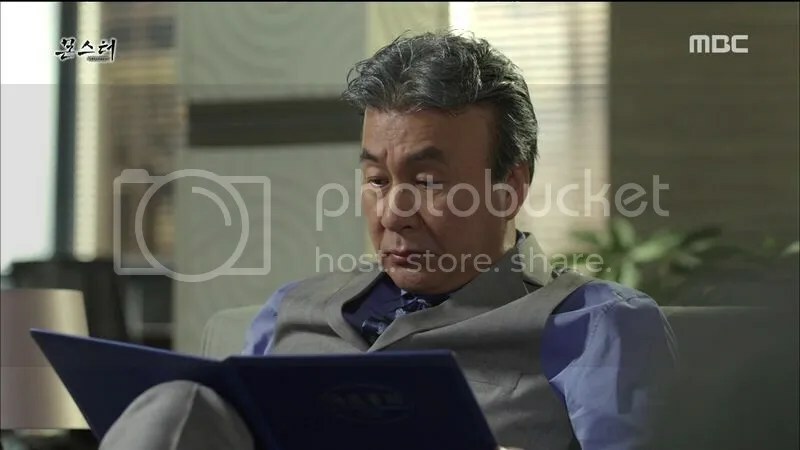 Gun-woo’s family name attracted Gwang-woo’s attention and he kept asking questions regarding his personal life, like his clan (he was not sure about it) and his father’s whereabouts. 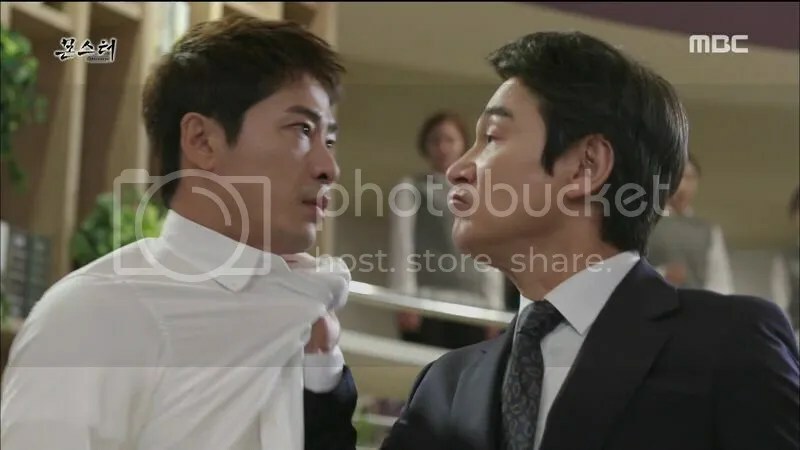 Gwang-woo could relate to Gun-woo’s goal to rub his success in his father’s face (while Il-jae looking so nervous at the side) but he thought that Gun-woo was a bit twisted. LOL, both of you would make a great nutcase team in my opinion. Finally, it was Gi-tan’s turn and just like what he expected, Il-jae could not recognize him at all. He vaguely hinted at his lucky escape from death many times and that joining Dodo would make his dreams come true. Well, that was one way to answer it truthfully. President Do was presented with the list of successful candidates and he could not help but to notice Gun-woo’s name because of the dollimja ‘woo’ (which showed that he was of the same generation as Gwang-woo) but he did not remember any of the relatives with such name. Il-jae was evidently nervous, afraid that his plan would fail that early, but he was just lucky. The new staff had to undergo a special training and Soo-yeon was not pleased to see that Gun-woo had passed the interview as well. Funny how Gi-tan literally became the third wheel this time when he mistook Gun-woo’s snicker for him, and they continued to bicker about getting the first place. The arrived at the training center, and this brought back the memories of 7th Grade Civil Servant, to be honest. It did feel like a parody of that show, only that these newbie staff was actually dressed in something akin to high schoolers’ uniform. 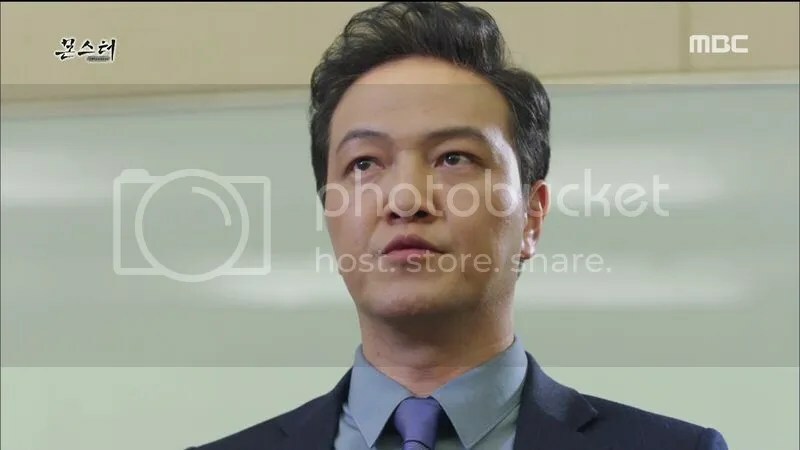 These writers’ dramas are not complete without Jung Woong-in, and he finally made his appearance as their instructor, who was also the Manager of the Strategic Planning Department for Dodo Group, Moon Tae-gwang. The real reason why both Gi-tan and Gun-woo were aiming for the top spot was because of the potential to become Shadow, the top agent for Dodo Group inside the team (SPD for short). Tae-gwang stressed on obedience over the course of the training and informed them that less than half of them would be selected to join the team at the end of the training. President Do also promised for a monetary reward worth 2 million won for the top scorer, which made everyone even more determined to get the best score, including Soo-yeon. Except that Soo-yeon actually placed last among the 40 candidates at the moment, and Gun-woo placed first, much to Gi-tan’s surprise. Gi-tan tried to console himself and also Soo-yeon, but she only thought that he was just teasing her. They still had a lot of opportunities to turn the tables, because every single aspect, from lifestyle to their physical strength, would be taken into consideration for the final score. 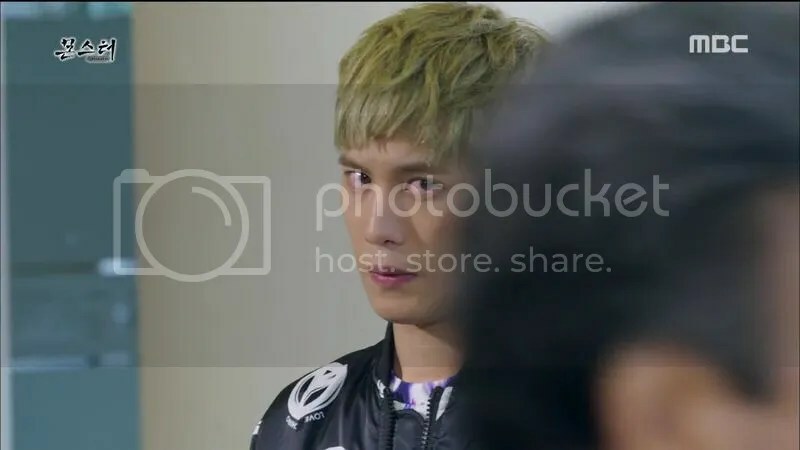 Gi-tan took over the first place after the first physical test, but he unintentionally entered Il-jae’s bad books for being a stumbling block for Gun-woo. Uh-oh. Yikes, that is too early to attract his enemy’s attention and it is a bad move on one hand, but Gi-tan could not possibly predict that Il-jae is also concocting his own plan at that moment. I am curious on how he he will escape this ordeal since he’s practically alone there without any backup, unless he has something up his sleeve too. Still, it is such a great thing to have the adult cast appearing in this episode, and Kang Ji-hwan is channeling the charming Gi-tan well. Although this is his second time working with the writers, which is also a revenge drama after Incarnation of Money, Gi-tan is less playful compared to Cha-don but more..suave? 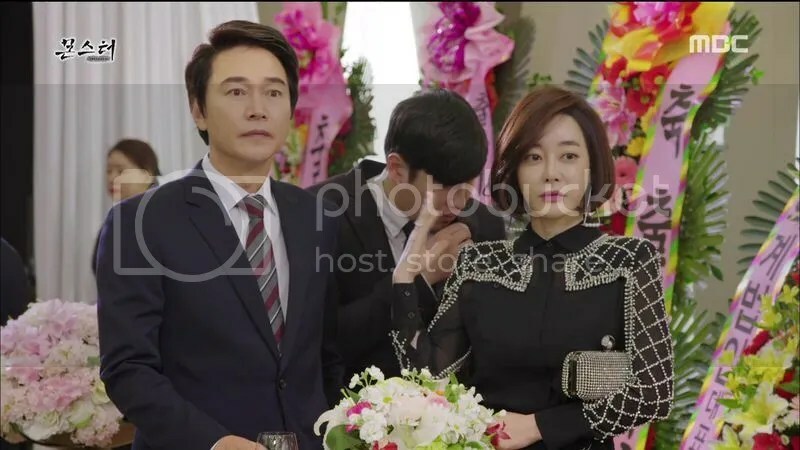 Regarding his encounter with Soo-yeon (aka his Jung-eun), that was so close yet so far, and I am sure there will be more twists and turns before they find out their respective identities. I have said it before that younger Jung-eun would have a believable transition into the adult Soo-yeon, and it is because of the similar ring in Lee Yeol-eum and Sung Yu-ri’s voices. Soo-yeon is still the outspoken girl who works hard for a living, but I did not expect that she faked her death before changing her identity. I guess Dodo also had something to do with it in order to buy Sudo Medical Center, and that could be the reason why she is keen on getting into the company. Perhaps, her brother will be another key towards Gi-tan/Gook-chul finding out about her real identity? We shall see. 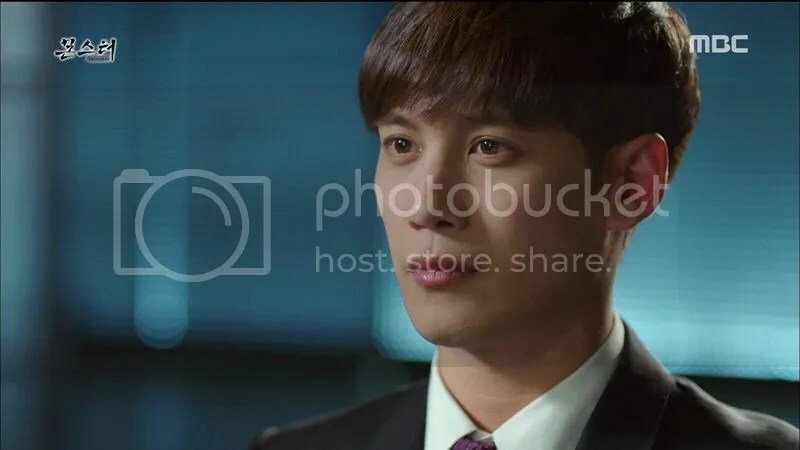 Park Ki-woong fiinally made his appearance in a drama after completing his military service, and he’s been missed dearly! Gun-woo is one interesting character in terms of being connected with everyone, because he can make it work with literally anyone, be it a man or woman. He is in the process of being tamed into a hunting dog by Il-jae, by I love how unpredictable he is so far. I just hope that he will continue to make unexpected decisions and defy Il-jae’s orders, just to give that man another source of headache. That will be fun to watch. Oh, and Gwang-woo. Gosh, did I say how much I love him?! He is a special case of nutcase yearning for his father’s acknowledgment, and he is so similar to Gun-woo. 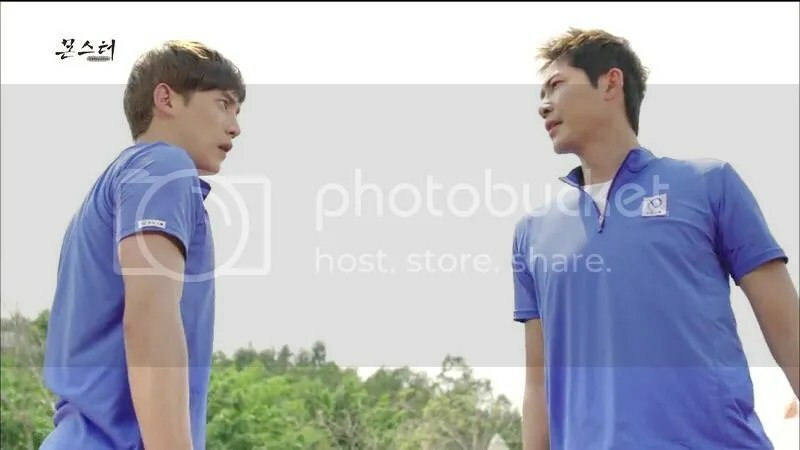 I just cannot wait for this step siblings to battle it out in every aspect, because the fight between two scene stealers is something worth anticipating for. Bring it on! 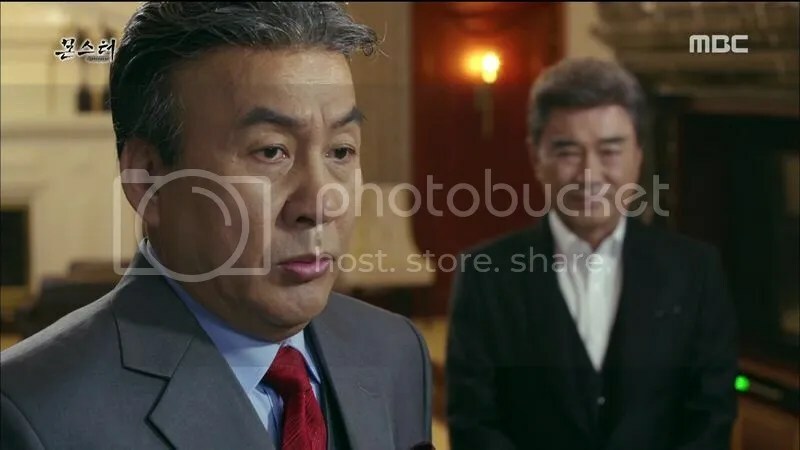 Regarding the pecking order, President Do is still at the top after all these years, while Il-jae has found a new person to be controlled, who might have the power to control President Do in the future. 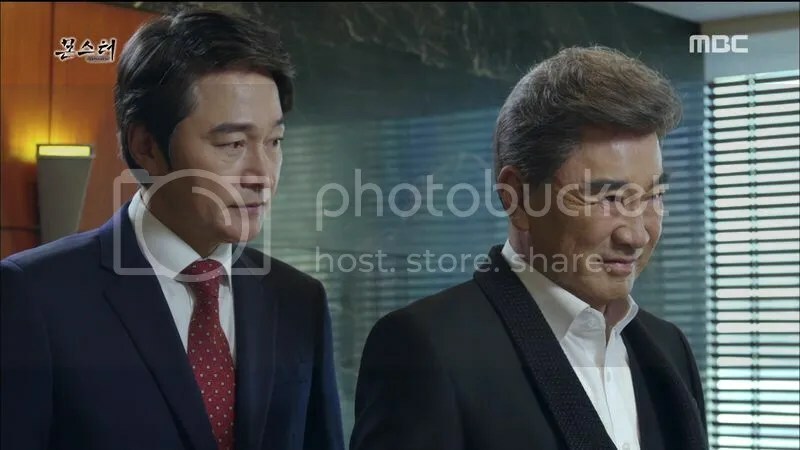 We might be able to learn more about Il-jae’s plan and ambition later, but his aim seems to be both Hwang Jae-man and Do Chung. If he gets to control both of them, then the order will be reversed, but I am sure Gi-tan will not let him off so easily. Plus, there is another variable in the form of Gun-woo, so we shall wait for the absolute winner, and the ultimate Monster. I am ready with my popcorn. Thank you!!! I was waiting for your recap while holding my breath (I was almost blue, jejeje). Really I’m with you ready and with the popcorn. :D.